THE GALAXY EXPRESS: Can Sci-Fi Romance Imagine Its Way Out of the Patriarchy? 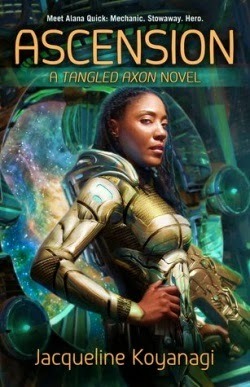 Can Sci-Fi Romance Imagine Its Way Out of the Patriarchy? I know we need to please readers, and readers are also steeped in patriarchy whether they want to be or not, but I can’t help but wonder. Is a reconstituted here-and-now the best we can imagine in all the possible futures and worlds? SFR is SCIENCE FICTION. Anything can happen. Anything we want. Anything we can imagine. Plus romance, so life has hoo to go with the woo. What if, as writers, we were to exercise our think-boxes and branch out of these ingrained cultural norms? Toss some matriarchal (or at the very least, more comprehensively egalitarian) societies onto our SFR pages? Ms. Hurley's article echoes much of Ms. Wallace's. The message is clear: speculative romance can accomplish so much more if it evolves beyond the patriarchy. The only permission we need is our imaginations. That said, I struggled with one part of the post. Ms. Hurley opened it with, "Someone once asked me why "alpha males" were so popular in so much romantic speculative fiction…"
She also touches upon the distinction between truly enjoying something vs. "… are you just taught you're supposed to like it, so convince yourself it's great?" Linking "Alpha males" to "bullies" feels a bit…reductive? If Ms. Hurley is indeed referring to the Alpha heroes of genre romance, she seems to have concluded that romance readers, at least when it comes to Alpha heroes, enjoy them only because that's what they've been taught. That Alpha heroes in romance exist solely to serve the patriarchy and not for any other reason. Maybe I'm misinterpreting her words. I'm having trouble putting my finger on what exactly puzzles me regarding that part of the post. That's not to say there aren't any problematic elements when it comes to Alpha heroes in romance. In fact, there's a term in the romance community that describes possessive/stalker/borderline abusive heroes as "Alphaholes" and it's valid to question and study their evolution. 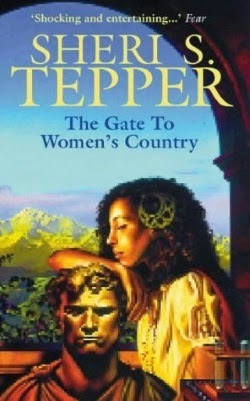 Are women romance readers truly expressing their freedom of choice by placing such Alpha heroes on pedestals, or is it another insidious effect of the patriarchy? Are those characters well known and widely marketed because they're truly popular, or because the patriarchy extends them a special marketing privilege (hence reinforcing their roles as agents of the patriarchy)? …challenge assumptions of normal, of hierarchy, assumptions that humans will always be bullies, or assumptions that "man" and "woman" are anything but poorly constructed language boxes created by humans to organize what is, in truth, a fantastically messy and diverse and incredibly non-binary world. I would love to see SFR in particular embrace the types of diverse elements Jody Wallace and Kameron Hurley describe in their articles (and lest we forget, upbeat/HEA/HFN endings are as valid as any other). 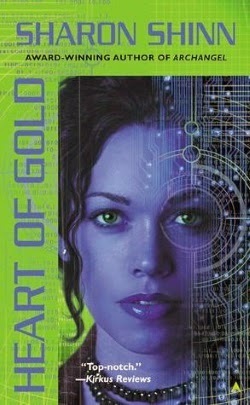 Because of SFR's sharp focus on the intersection of romance and science, it's well suited to such explorations. At the same time, I feel it's important to acknowledge that the issue of patriarchal themes in romance is massively complex (if she's indeed referring to genre romance). Depending on one's perspective, the romance genre is either a complete product of the patriarchy, or collectively challenges it head on. Or maybe both. I'm concerned that the message of "Alpha heroes are bullies. Now you know better. Write something else." underestimates the enormity of the situation. I'm concerned it ignores the many romances that question/challenge/subvert the patriarchy from within--even ones with Alpha heroes. I'm also concerned the message dismisses the many previous, in-depth discussions about the issue in the online romance community. Romance readers and authors have been grappling with the patriarchy issue for years, perhaps decades. Even if it's true that all Alpha romance heroes are bullies and women readers are putting them on a pedestal at their peril, what is the next step? An overhaul of genre romance? Elimination of Alpha heroes? Is the goal to expand some readers' horizons? Publish thousands of more books with non-patriarchal settings? All of the above? Identifying an area of potential growth is one thing; developing it is another. There are many evolutionary steps on the path to the routine existence of speculative romance stories that challenge our assumptions about the way of the world (or galaxy, as the case may be). As a huge fan of SFR, I'm the first to admit the genre could use more inclusive and speculative books along these lines. I've read books that seem to struggle with various speculative/social justice themes, which is part of the process of change. I've also encountered books demonstrating progress in this area. The authors of said books are down in the trenches, though, and I bet they'd like some company. The seeds of diversity are being planted in SFR, so my question is this: how can we best nurture them?